Click the Utilities button, then Visual Check. Select the folders as input directories where STEP 2 outputs. Check the output. Arrow keys can switch the images among different timepoints or subjects during Visual Check. The images will be saved automatically. Click the Utilities button, then Head Motion Est. 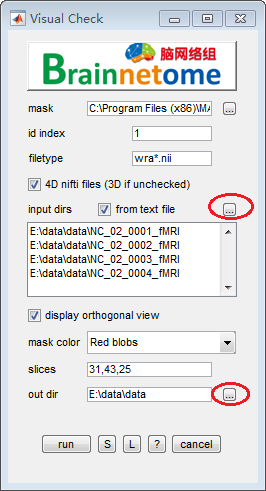 Select the folders as input directories where STEP 2 outputs. 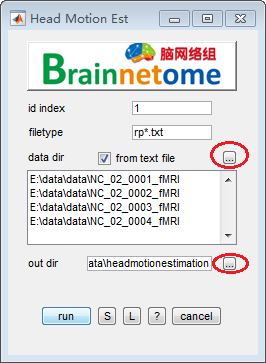 The results will be saved as brant_headmotion_result.csv and brant_headmotion_exclusions.txt automatically.